Samsung announces W2019 flip phone in China. While Samsung announced its first folding phone in the US last week, the company launched another, more vintage-styled flip phone in China on Friday according to GizmoChina. Samsung is jumping with both feet into the folding phone trend that has yet to produce much in terms of commercially available products. 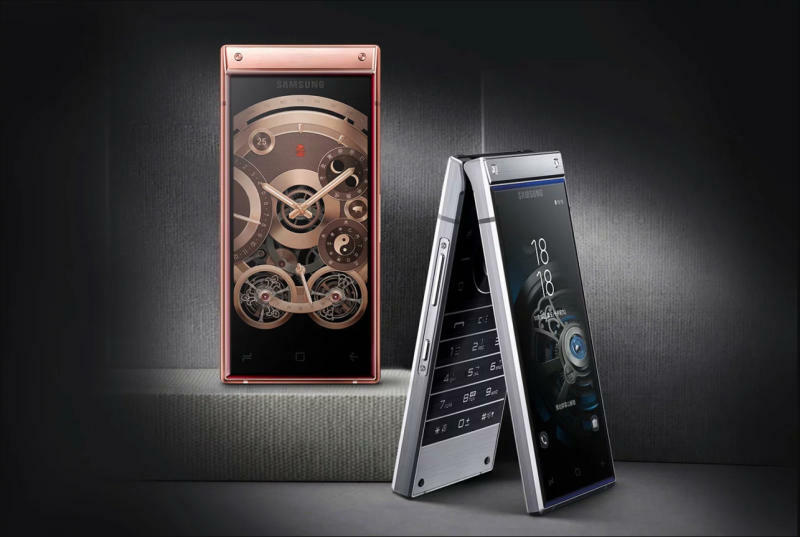 Whereas the race is still ongoing to release smartphones with foldable displays -- Samsung revealing only a shadowed version of their own design last week -- the company launched the W2109 flagship flip phone in China last week, an early 2000s classic design with a major 2019 upgrade. From the exterior, the model resembles its 2018 predecessor, the W2018; however, internally, the new model has much to boast about. The mobile platform has been upgraded from a Snapdragon 835 to the Snapdragon 845 supported by 6GB of RAM and either 128GB or 256GB of storage, and there are now two 12 MP cameras on the back of the device instead of just one. Both Android 8.1 Oreo and Samsung's Experience UI are pre-installed on the device making for an intelligently efficient user experience that's made even easier with a button dedicated for accessing the Bixby AI assistant. The 128GB model of the W2019 flip phone is on pre-sale as of Sunday for 18999 Yuan (about $2,732) exclusively through China Unicom, one of the largest telecommunications companies in the country. We're still waiting on the price of the higher-storage version, but we know it will certainly cost a pretty penny.